Our ladies and guys stainless steel 6oz hip flasks are designed, printed and hand applied in South Carolina. Flasks are wrapped in high quality long, lasting vinyl and guaranteed to please this holiday season. Perfect for stocking stuffers! 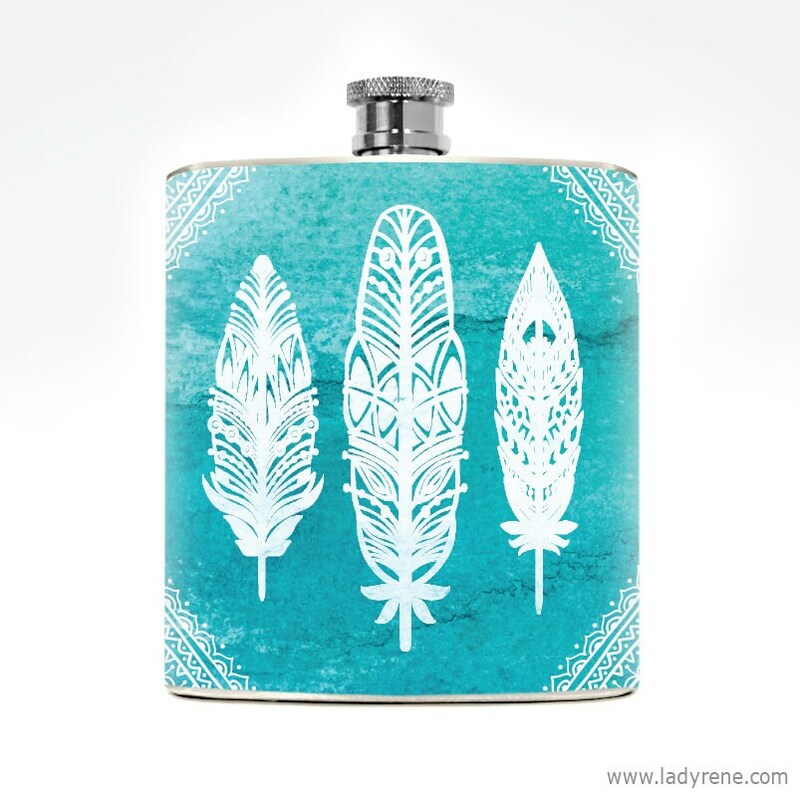 Lovely Boho Women's Feather Flask makes a chic women's drinking gift. Amazing service and the flasks are awesome! Really appreciate how much time she spent making sure they were just how I wanted them. Thank you!